Specially designed for stiff-hinged rigs and chod rigs. 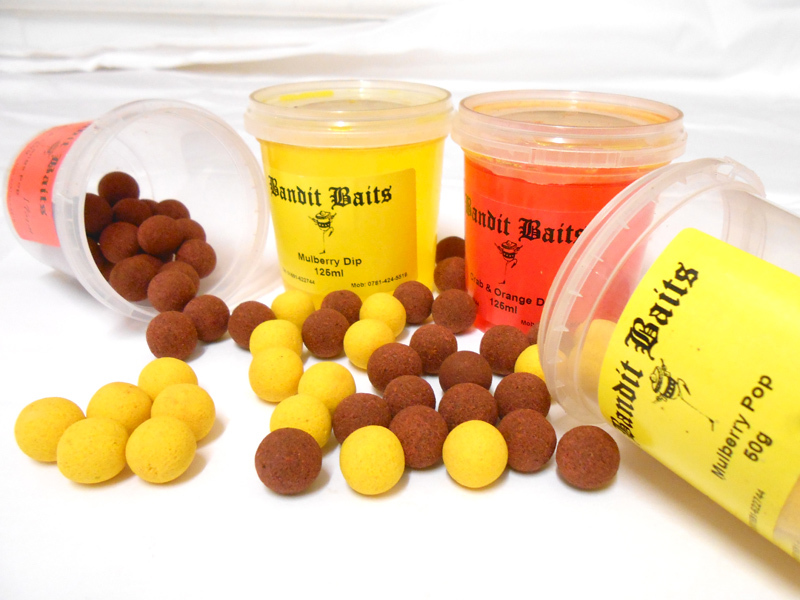 Made to any colour, sizes as below, £6 per tub, any flavour. Enter details into the custom order form to order. Available in 125ml pots @ £5.00 per pot. Yellow Birdy Mulberry, Yellow Birdy Honey Liqueur, Cheezy Fish, Toffee Fish, Cranberry Squid, Crab, Orange, Mulberry Squid, Italian Job, Wicked Jungle Berry, Wicked Choca-Mocha, Wicked Peppered Peach, and Wicked Coconut Dream. Available in 50g tubs @ £5.00 per tub. 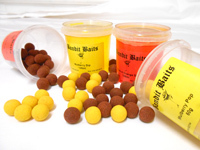 An excellent compliment to the boilie range available in the above flavours. High in liver compounds, rich in Amino Acids and high in vitamin A, which fish need to aid in digestion of any food item. This is an ideal supplement to boost all baits and mixes. We can add a flavour of your choice, please phone for details. Can be used at any dosage, but we recommend 10-15ml to be poured over 1kg of boillies.